In public relations, engagement is studied in various contexts. It is defined in multiple terms and has different operationalizations. It is used as the umbrella term that includes a wide array of organizational attempts to involve stakeholders in its activities and decisions. In spite of certain confusions of definitions, there are numerous studies that report a strong connection between engagement, employee performance and business outcomes. Key drivers of employee engagement include nature of the job and work environment, recognition of one’s work, social climate, personality traits, and most important for this particular study – internal communication. However, in spite of the importance of this relationship between internal communication and employee engagement, the association has not been widely empirically tested. In order to further test the relationship between internal communication and employee engagement, Nina Pološki Vokič and I posed the following research question – Is there a significant relationship between the eight dimensions of internal communication satisfaction and three employee engagement dimensions? We started our study with the assumption that the integration of internal communication and employee engagement is an under-researched topic in general (Ruck & Trainor, 2012; Welch, 2012). Also, although scholars emphasize the importance of the relationship between internal communication and employee engagement, there is limited empirical research on their association. Research in the area tends to treat both concepts as uni-dimensional (e.g. Karanges et al., 2015). Consequently, we were hoping to add to the existing literature as we empirically explored the relationship between multidimensional ICS and multidimensional employee engagement concepts (for ICS e.g. Tkalac Verčič et al., 2009; for engagement e.g. Schaufeli, Salanova et al., 2002). However, contrary to dominant research that focuses on manager perceptions of internal communication (Ruck & Welch, 2012), we assessed employee satisfaction with internal communication practices. Using a survey, correlation and regression analysis, our study confirmed that internal communication satisfaction has a significant role in high employee engagement. We provided empirical evidence that effective internal communication that results in ICS is the antecedent of employee engagement, which supports sporadic previous findings (e.g. Karanges et al., 2015). This is in line with Ruck and Welch’s (2012) argument that employee engagement is influenced by internal corporate communication and effective line, peer, and team management communication, as well as Watson Wyat’s finding (2007 according to Ruck & Trainor, 2012) that organizations that communicated effectively with their employees were four times more likely to have high levels of employee engagement. Concerning internal communication elements critical for employee engagement, we found that satisfaction with feedback, informal communication and communication during meetings are the most relevant ICS dimensions for employee engagement. Our results confirm previous findings that feedback (e.g. Bakker & Demerouti, 2008), open channels of communication (e.g. Caesens, Stinglhamber & Luypaert, 2014), communication between supervisors and employees (e.g. Agarwal, Datta, Blake-Beard & Bhargava, 2012), and sharing information with employees (e.g. Durkin, 2007) are vital enablers of engagement. However, even though our results imply a causal relationship between ICS and employee engagement (and even though engagement is mostly conceptualized as an outcome of internal communication, e.g. Ruck & Welch, 2012), what matters most is that internal communication and employee engagement “feed” each other in a continuous virtual circle. Our results show that internal communication should be recognized as an underlying influence of employee engagement (Karanges et al., 2015). This implies that internal communication strategies, when effectively applied, help organizations to create and sustain high levels of employee engagement, which leads to higher levels of performance. Managers should be instructed on the importance of internal communication for enhancing employee engagement. However, they have to be aware that a set of drivers of engagement is broad (Kahn, 1990; Ruck & Trainor, 2012), since there are many organizational and situational factors as well as individual differences, that influence employee engagement or disengagement. According to job demand-resource (JD-R) model (Demerouti, Bakker, Nachreiner & Schaufeli, 2001), job resources such as autonomy, coaching, performance feedback and social support, as well as personal resources such as self-efficacy, optimism and self-esteem, trigger processes that lead to employee engagement (e.g. Bakker & Demerouti, 2008). One of the job resources that should not be omitted is internal communication, as (according to our study) it adds value to employee engagement. However, to contribute to engagement, organizational practices of internal communication need to be acceptable and appropriate for internal stakeholders (Welch, 2012). Additionally, as stressed by Ruck and Trainor (2012), employee engagement is unlikely to improve until managers start to believe in the importance of internal communication. Managers should be aware that it is easy to change the price and the product, but it is another thing to create a behaviorally engaged workforce (Macey & Schneider, 2008). 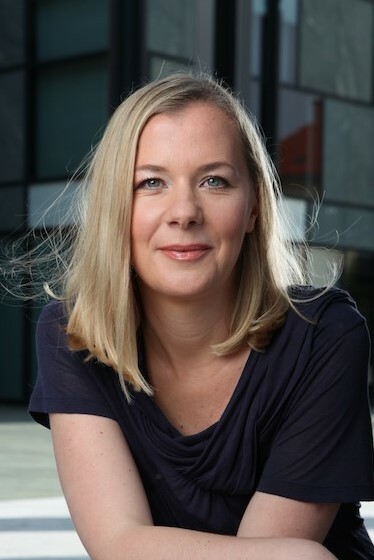 Ana Tkalac Verčič, Ph.D., is a professor of marketing and public relations at the University of Zagreb. Agarwal, U. A., Datta, S., Blake-Beard, S., & Bhargava, S. (2011). Linking LMX, innovative work behaviour and turnover intentions – The mediating role of work engagement. Career Development International, 17(3), 208-230. Caesens, G., Stinglhamber, F., & Luypaert, G. (2014). The impact of work engagement and workaholism on well-being – The role of work-related social support. Career Development International, 19(7), 813-835. Demerouti, E., Bakker, A. B., Nachreiner, F., & Schaufeli, W. B. (2001). The job demands-resources model of burnout. Journal of Applied Psychology, 86(3), 499-512. Durkin, D. (2007). How loyalty and employee engagement add up to corporate profits. Chief Learning Officer, 6(11), 30-34. Karanges, E., Johnston, K., Beatson, A., & Lings, I. (2015). The influence of internal communication on employee engagement: A pilot study. Public Relations Review, 41(1), 129-131. Macey, W. H., & Schneider, B. (2008). The Meaning of Employee Engagement. Industrial and Organizational Psychology, 1(1): 3-30. Ruck, K., & Trainor, S. (2012). Developing Internal Communication Practice That Supports Employee Engagement. Retrieved from: http://www.pracademy.co.uk/wp-content/uploads/2012/07/Developing-Internal-Communication-Practice-That-Supports-Employee-Engagement-July-2012.pdf, 1-25. Schaufeli, W. B., Salanova, M., González-Roma, V., & Bakker, A. B. (2002). The measurement of engagement and burnout: A two sample confirmatory factor analytic approach. Journal of Happiness Studies, 3(1), 71-92. Tkalac Verčič, A., Pološki Vokić, N., & Sinčić Ćorić, D. (2009). Razvoj mjernog instrumenta za procjenu zadovoljstva internom komunikacijom. Društvena istraživanja, 18(1-2), 175-202.